I love Guillermo del Toro’s imagination! He has an amazing ability to use dark, scary, and even violent themes and stories to inspire hope and give glimpses of redemption in an ugly world. This is true not only in projects he wrote and directed himself, like Pan’s Labyrinth and The Devil’s Backbone, but also in projects by others which captured del Toro’s imagination so that he chose to produce and attach his name, like The Orphanage. 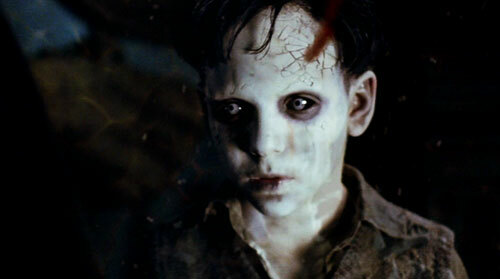 Movie number eight this year is the aforementioned film, The Devil’s Backbone. Our first and only ghost story this year. 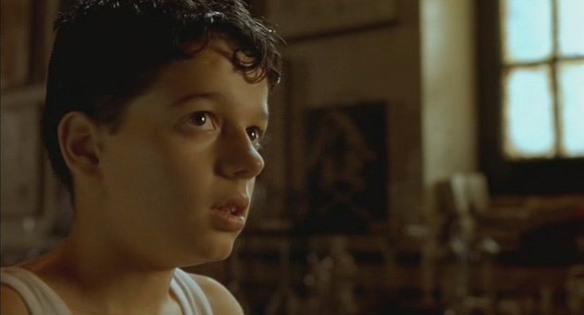 It takes place when a young boy is placed in an orphanage in late 1930’s Spain. As he tries to adjust to his new life by making friends, dealing with bullies, and looking for parental figures in his life, he also has to deal with the fact that not all of the other people at this particular orphanage are, technically speaking, alive. The film is another example of Guillermo’s knack for brilliant, compelling, original storytelling. After watching the movie, it is clear to me that del Toro is quite taken with the concept of childlike innocence and imagination being the only salve, or perhaps just the only sane response, to the evil things that happen, and horrible people who live in the world. This is one of the most common themes that seem to pop up in del Toro’s work, most notably in the titles listed above. This theme is front and center in The Devil’s Backbone, as is the setting of the Spanish Civil War, which is also the setting of Pan’s Labyrinth. This setting makes clear the presence of huge, powerful events creating a storm in which children can do nothing but try to survive, without ever really understanding all the turmoil into which their world has been thrust. The movie isn’t scary, but it is highly engaging, and I would recommend it to all of you out there in the internets.